Northwest Indiana vet refuses to euthanize two healthy dogs. INDIANA — Two dogs are doing well tonight in a new and loving home after a northwest Indiana veterinarian refused the original owner's request to have the healthy dogs euthanized. 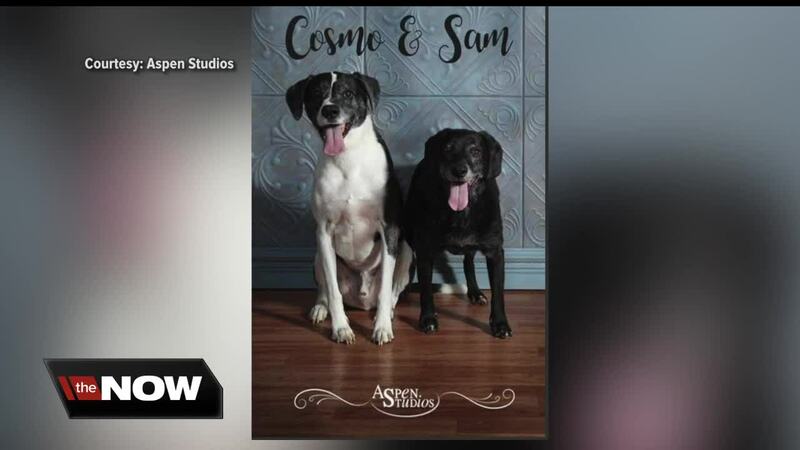 The man who owned Sam and Cosmo had divorced his wife and was moving in with his girlfriend, who said she was allergic to dogs. He visited a Portage, Indiana veterinarian and asked that the dogs be put down. The vet refused because they were healthy and friendly dogs. Penny Emerson with Begin Again Rescue in Valparaiso, Indiana took in the dogs. Emerson says the dogs were eventually moved to Peoples Animal Welfare Society in Chicago's Tinley Park. This is where a Lockport, Illinois couple eventually adopted the dogs. "Someone had shared the article and we just lost our Chihuahua, Brutus, in June. And we had him for 17 years. And it just spoke to me because we just had a senior dog and I couldn't imagine just dumping him off somewhere," said Tiffany Dybas, one of Cosmo and Sam's new owners. "So, just saw the story about the dogs and it just broke our hearts." "If you have the room, and have the ability, and you're willing to take that step and see what you get — it's not a bad thing," said Tiffany Dybas' husband, Eric Dybas. "There's plenty out there and they all deserve a chance." Cosmo and Sam are adjusting to their new home and are loving it there.